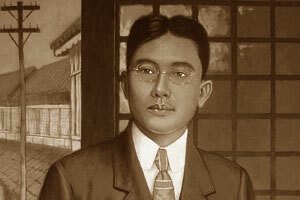 Born in Cebu City on the 6th of June 1887 and died on the 24th of December 1956. Fictionist. Rama began publishing in 1906. He was a staff member of El Precursor, 1908; edited Kauswagan, 1912-1914; and founded Nueva Fuerza/Bag-ong Kusog, 1915-1941, a major Cebuano periodical. Among his major works are two short-story collections, Larawan (Portrait), 1921, and Aegri Somnia, 1922; the novels Sa Bung-aw sa mga Kasal-anan (On the Face of Sin), 1933-1934, which appeared in Bag-ong Kusog, and Ang Silot ni Bathala (God’s Punishment), 1948; and a drama adaptation of Jose Rizal’s novel.